Fancy a slim and sleek phone case for your iPhone 8? We’ve got you covered. Our snap iPhone 8 case is designed to be only 1.5mm slim - so let’s just say, it’s minimalism at its finest. It features a raised lip to keep your screen safe at all times and a smooth, hard exterior to safeguard your iPhone 8 from any minor scratches, drops and dust. 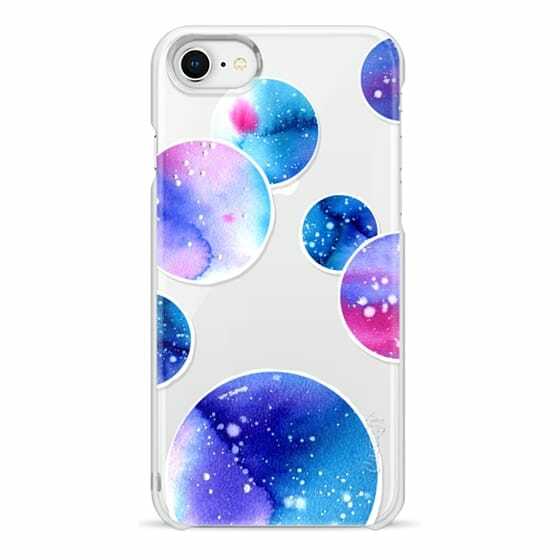 CASETiFY / iPhone Cases / iPhone 8 Cases / Watercolor space planets 3. Transparent. Watercolor space planets 3. Transparent.